The promulgation of the plunder case against former Senator Bong Revilla is scheduled today at the Sandiganbayan. ANC will make sure to report on the latest updates on the decision on Revilla and stay in touch with both the prosecution and Revilla’s side. What will the decision mean for the other PDAF cases? Former Ombudsman Conchita Morales said if she was judge, she would convict Revilla. 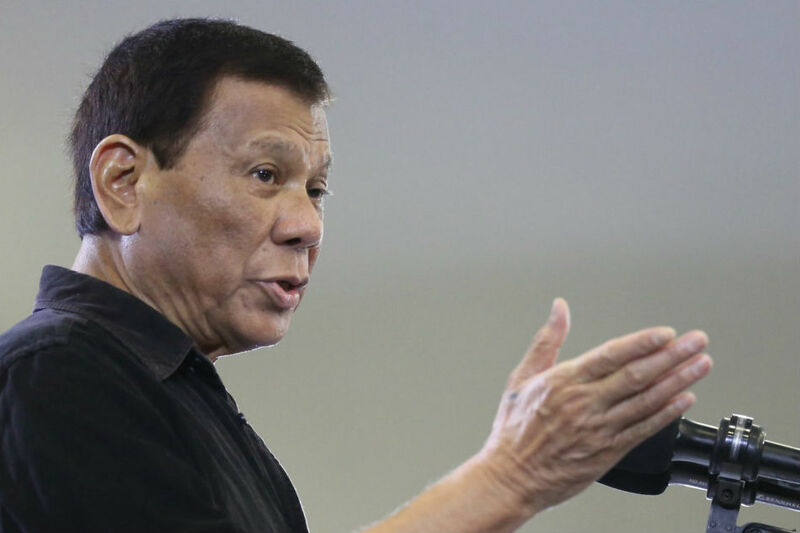 The word war between President Duterte and the Church rages on. The Palace said the president’s call for deaths of bishops were for dramatic effect. Were they meant to provide a distraction from other controversies? Running priest Fr. Robert Reyes told bishops to stand up to Duterte. Fr. Amado Picardal, an early critic of Duterte, said it was time for appeasing the president is over. Caloocan bishop Pablo David responded to criticisms from the president with a Bible verse. The president has three events in Davao City today. ANC will be airing the proceedings live, including his speeches. In his last speech, he advised Catholics to stay with God but reject religion. Meanwhile, he admitted he had his blood checked. This could fuel new talk about his health. Finance Sec. Sonny Dominguez takes a swipe at former President Gloria Macapagal-Arroyo. In a recent forum, Dominguez said the Duterte government has learned from a previous administration’s scandalous management of Chinese financing deals. He did not name Arroyo, but mentioned the controversial NBN-ZTE deal. Dominguez made the statements amid rumors Arroyo would replace him. Talking about Arroyo, the Palace said there was nothing wrong with the alleged P2.4 billion pork for Arroyo’s district, as hinted by Sen. Ping Lacson. But the Palace said Arroyo should explain the allocation. The International Criminal Court (ICC) is continuing its preliminary probe on drug-related killings in the country despite the Philippines’ withdrawal from the ICC which takes effect next March. In her report, ICC prosecutor Fatou Bensouda said they are determining if they have jurisdiction over the alleged crimes. She cites at least 12,000 deaths in the drug war and that the president and other government officials are promoting the encouraging the killings. Presidential Spokesperson Sal Panelo said the ICC’s actions were futile.